The Department of Agriculture wrongly reported to the public how many licenses were revoked from people who failed background checks, and agency officials failed to tell auditors about problems uncovered in an internal investigation. Florida wrongly issued concealed weapons licenses to more people than previously disclosed and allowed contract workers with a documented history of errors to process thousands of gun applications, according to a new audit of the Department of Agriculture. 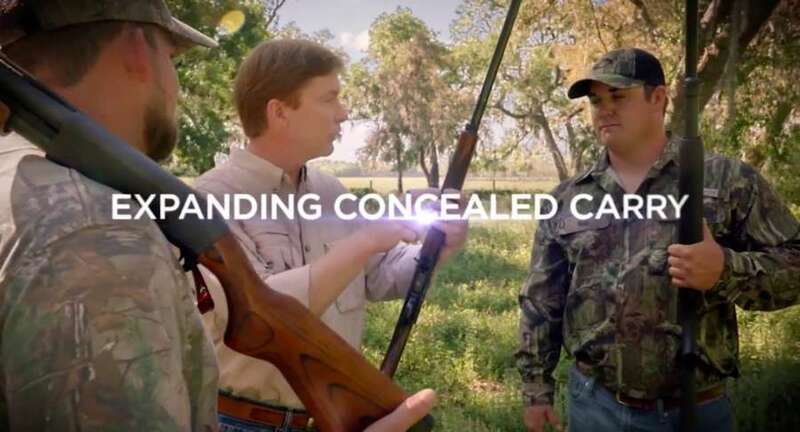 The report released Wednesday by the state's auditor general raises new questions about whether the agency leader, Agriculture Commissioner Adam Putnam, was entirely forthcoming this summer when concerns first arose about his department's handling of concealed weapons permits. And the latest revelations come as some Democrats in Tallahassee are pushing for state law enforcement to take over the beleaguered weapons program. The Tampa Bay Times reported earlier this year that from February 2016 to March 2017 the state stopped using the results from an FBI crime database called the National Instant Criminal Background Check System that ensures applicants who want to carry a gun do not have a disqualifying history in other states. Putnam, then a Republican candidate for governor, blamed one employee for a lapse that resulted in hundreds of ineligible people gaining a permit to carry a gun in public. He said his department acted swiftly last year to dismiss the employee and prevent it from happening again. "Leaders hold people accountable. Leaders are open and transparent when people let us down," Putnam said at a June press conference in response to the Times report. "We are here to explain to the public exactly what happened." But the report said "the absence of adequate controls" contributed to the failing. In short, the lapse should have been discovered earlier, instead of festering for a year. Meanwhile, problems continued through the rest of 2017. And in some instances, Putnam gave inaccurate information to the public about the scope of the problem, the report said. The Department of Agriculture never disclosed to auditors that the agency in 2017 was investigating a year-long lapse in background checks, even though state auditor general’s staff was amid its own review of the department at the time. The auditor general only learned about the background check problem when it was reported by the Times in June, a year later. Putnam gave erroneous information to the public when he said 291 concealed weapons permits were retroactively revoked as a result of the investigation. It was actually 310. Auditors also found state law enforcement warned it didn’t have enough information to conduct the national background check for 88 individuals, but the department approved the applications anyway. The agency approved more erroneous licenses from March 2017 through January 2018 — after the background check problem was first discovered. A spot check of 108 applications found the state wrongly issued four concealed weapons permits for foreign consular, including two to people who never requested the license. Contracted employees continued to work for the department for weeks even after they were flagged for multiple errors, like failing to review criminal histories of applicants, and they processed more than 10,000 applications before they were let go. 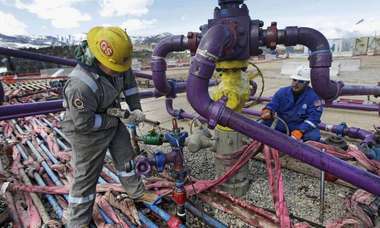 Three contract employees were hired full-time even after making errors. In all, the 49-page report listed 14 "findings." Oversight of the concealed weapons permits and other programs was "not always adequate or effectively implemented," data provided to the public was "not always complete or accurate," and investigations into non-compliance of licenses took too long, Auditor General Sherill Norman wrote. "The establishment of adequate and appropriate concealed weapon license application controls is essential to help ensure that such licenses are not issued to unqualified individuals," Norman wrote. The audit also found the department sometimes waited weeks to review background checks of its own employees. One senior clerk worked for the department for 175 days before her supervisors discovered a felony extortion charge on her record. She was eventually dismissed. Department of Agriculture spokesman Aaron Keller declined to comment on specific questions raised by the audit, instead pointing a Times reporter to the agency's response included in the report. "We appreciate the efforts of the Auditor General and all of the report's recommendations have been implemented or are in the process of being implemented," Keller said. That response disclosed for the first time that the department once allowed a 5 percent error rate for employees who process concealed carry background checks. Now, employees must meet a "100 percent achievement rate," the department said. The agency also acknowledged it was an "oversight" not to inform the auditor general about its internal investigation into the missed background checks. Agency officials attributed some of the highlighted problems to "record demand," "staff workload issues," and "staffing issues." In a letter to the auditor, Putnam said he has since cut back employee workloads by 25 percent "to ensure adequate time to produce error-free work." The Times previously reported the department at one time mandated employees to process 75 applications a day. Putnam this summer brushed off concerned employees who said they were overworked by a record surge of applications for permits. One employee told internal investigators the department was "bombed" by requests, especially after a high-profile shooting. MORE: Adam Putnam blamed one employee for bungling gun background checks. Records show the issue went deeper. At Putnam's persistent urging, Florida has seen unprecedented expansion of its concealed weapons program during his eight years in office. There are now almost 2 million people licensed to carry a gun in public, more than any other state. To meet the demand, the department brought in contract employees, the audit found. More than one-in-four of the the 733,893 applications for a concealed weapon license processed from July 1, 2015, through June 21, 2018, were reviewed by these contract employee, not department staff. Putnam, a self-declared "proud NRA sellout," expected to run for governor on his gun record. Instead, questions about his management and oversight of the office dogged his campaign. The Times reported in July that Putnam's agency agreed to pay a $30,000 settlement in 2016 to an ex-supervisor who said she was fired for notifying supervisors about problems with the concealed weapons program. The supervisor was told she "worked for the NRA," she said in a court complaint. The Associated Press also reported that state investigators found that 48 employees under Putnam made mistakes while reviewing applications for licenses. Some of them didn't read arrest reports or the full applications when issuing permits, including ones for concealed weapons. Putnam eventually lost the primary to Ron DeSantis, now the governor-elect. 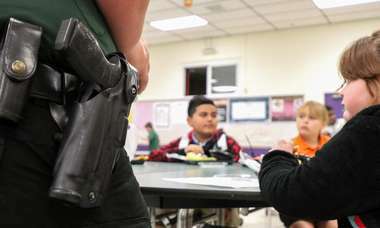 Democrat Nikki Fried, elected in November to replace Putnam as agriculture commissioner, has promised a thorough investigation of the concealed weapons program and has called for Florida Department of Law Enforcement to issue licenses instead. But Marion Hammer, the powerful lobbyist for the state NRA, has insisted that an elected official must oversee the program. She wants the state's chief financial officer, Republican Jimmy Patronis, to takeover the licenses. A fairly simple fix could have prevented what turned into an administrative and political headache for Putnam, the report found. Under the previous system, an employee sent applications to the Florida Department of Law Enforcement to conduct the background check. The FDLE put into a file the names of people who failed that check. A problem arose because the Department of Agriculture employee in charge of attaching those results to the application couldn't log in to the computer system and stopped trying for more than a year. No one noticed because a "clean" background check isn't noted on applications, and most applicants pass the background check. Someone likely would have discovered the problem immediately if the state all along included the background checks findings, regardless of the result, to process the application.